Good – no, GREAT mail! 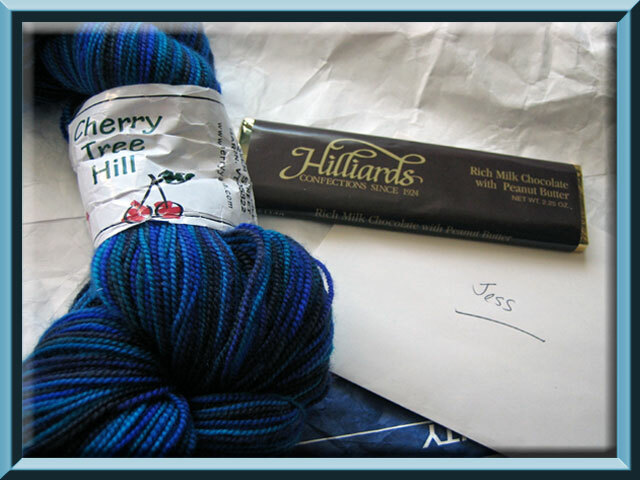 I won a contest/quiz at her blog a while back and this was my prize – a skein of Cherry Tree Hill and two candy bars (*cough* yes, there seems to be only one in the picture…). 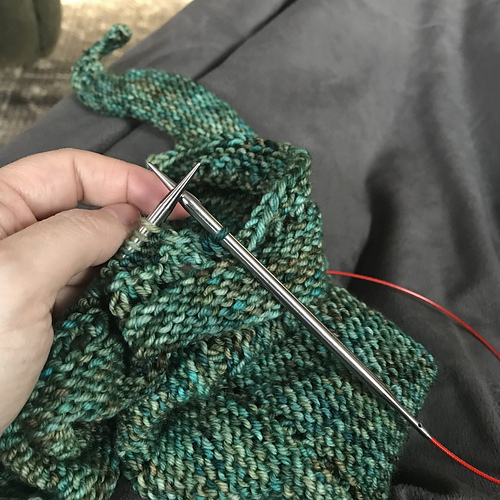 Amazingly enough, Carole sent the one skein of yarn in existence that has brought RR to the point of actually voicing a wish for socks. I’m stunned. Almost speechless, even. Almost. Also, we were catching up on some Law & Order watching this evening – did anyone else notice that Cary Elwes (aka Wesley) was on L&O SVU a week or so ago? How cool is that?